BAJABA© is the acronym for Bay Area Jazz And Blues Artists. BAJABA© was created by Afrikahn Jahmal Dayvs as a way to spotlight and give voice to San Francisco Bay Area “Resident Jazz and Blues Musicians.” Dayvs says, ” the term resident artist is preferred over “local artist” because local tends to undermine justification for full payment and appreciation of the artist and their music”. The late Sir Doug of Edwards then took the acronym BAJABA© which he used for producing produced the BAJABA© showcase; a live performance aired live on the radio. 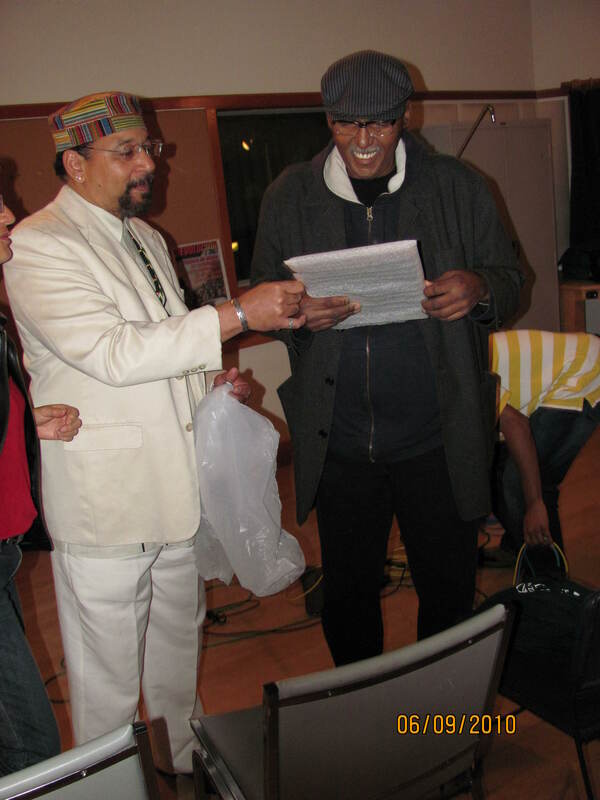 For three years, thirty-seven live broadcasts have been produced by Doug Edwards and Afrikahn Jahmal Dayvs hosted the live broadcast “BAJABA Showcase©” where the two would serve up live jazz while broadcasting live over the KPFA airwaves. The event and corresponding broadcast took place on the first Monday night of the month from 8-10 P.M. Pacific Time. The air time was donated by Greg Bridges. Technical direction was provided by Jim Bennett and Damany Fisher was their intern. Sam Edwards, resident photographer. Joan Bow-Belgrave, Associate Producer. Since Doug’s passing, the show continues with Afrikahn Jahmal Dayvs as Executive Producer and Host, Ms. M as technical Director, Ken Pruitt Board Op, and Safi wa Nairobi Associate Producer. The Award has been bestowed on the likes of Khalil Shaheed, Dr. Lonnie Smith and Eddie Duran amongst others. The purpose of the Award is to bring recognition to the respective artists and keep the cultural integrity of the art form known as jazz. The script located on the awards are uniquely written for each award recipient by Afrikahn Jahmal Dayvs. Award ceremonies often coincide during live BAJABA© radio performances that take place the first Saturday night of each month during BAJABA on JazzLine, hosted by Afrikahn Jahmal Dayvs. Ms. M provides Technical Direction and Ken [The Groovemeister] Pruitt, Engineer.